We offer many levels of service — always doing what is best for you, our patient. The annual physical exam is a comprehensive evaluation focusing on disease prevention/detection. This exam includes in-depth lab panels and may include further imaging studies. This allows for formulation of a personalized health plan. Urgent care needs may arise frequently- lacerations, contusions, allergic reactions, acute illnesses like colds or influenza and sports injuries. We will do everything possible to see you the same day or the next day at your convenience. Common chronic diseases; diabetes mellitus, high blood pressure, high cholesterol, heart disease, arthritis, asthma, osteoporosis and many others will be managed as frequently as needed. Occasionally we may refer you to a specialist. We believe partnering with other physicians optimizes disease management and improves health outcomes. We welcome the opportunity to work with your current specialists. Then specimens will be collected in the lab suite immediately adjacent to our office and may be billed to insurance. If the physician recommends an x-ray, CT scan, MRI, mammogram , ultrasound or other studies, they will be performed at the hospital or venue of your choice and may be billed to insurance. Your physician will be available for contact 24 hours a day. If an urgent or emergent need arises call and speak with your doctor. If you need immediate attention you may be directed to the ER. Your physician will discuss your case with the ER physician and will be involved in your follow up care. In general, if you need a medication prescription or immunization a prescription will be sent to the pharmacy of your choice. The annual fee does not include the cost of medications or immunizations, although the flu shot is included in the annual fee if available. If in the event you are hospitalized, the physician will arrange for your admission to Iowa Methodist West or Mercy West Hospitals. He will be in contact with your hospitalist (hospital based physician). We will help coordinate your care, answer questions and communicate with your family if needed. 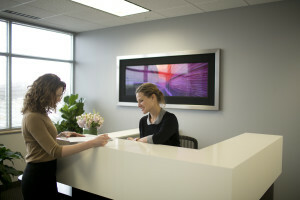 Upon discharge we will contact your hospitalist and help arrange your follow up care. Learn more about membership fees here.